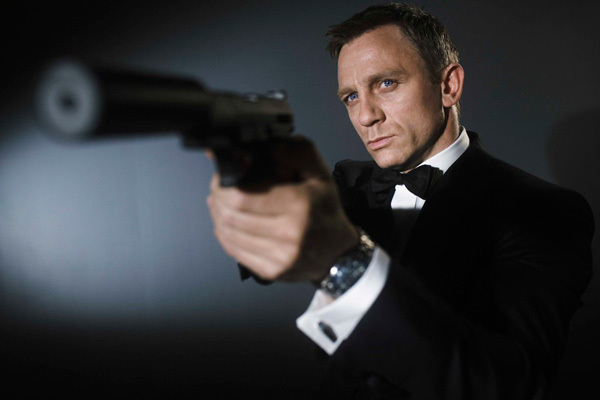 You are here: Home » James Bond to Drink Heineken: Pay Attention, 007! Advertising Age has reported that Heineken USA and the producers of Skyfall, the next Bond movie, have struck a deal which will have James drinking a Heineken on screen. Apparently it’s the first time Bond has appeared with a branded brew, and I’m sure Heineken spent a pretty penny to have their product integrated into the film. I just did a post over on TODAY listing the five beers I’d choose for 007 instead of a skunky Heineken (you can see them here), but I’d love to hear what you guys and girls can come up with. What beer would you equip Mr. Bond with if you were Q? As always, let us know below! Wynkoop Rocky Mountain Oyster Stout. Ha ha – I think that’s perfect: A beer with balls!! Heineken? Is it shaken or stirred? I’m sure Don’s swallowed worse. I like what you did there, John. Dogfish Head Midas Touch … in memory of Goldfinger. And he went Rogue in GoldenEye, too, right? Hmm…what do they drink on Madison Avenue? Because it seems that’s where he’s spending most of his time.